These are four fabulous Feather Graphics! Today I’m offering these pretty vintage Feathers. These were scanned from an Antique Circa 1920’s Catalog. I thought they were really sweet and I love the bits of fluff on the end! The original image is the black and white one that you see at the bottom, I’ve also made a few color options for you including a Lilac Purple, Spruce Green and Aqua. These would be lovely for Collage or Mixed Media Art projects! 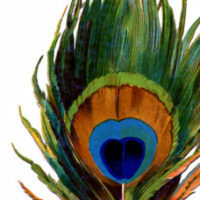 You might also like a striped Feather that I posted recently, from the same catalog, you can find that one HERE. 9 Feather Images – Vintage Scraps DIY French Script Paper Feathers Project + free printable! 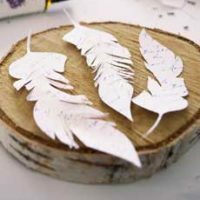 Free Vintage Feathers Download! Great image and love the variety of colors.